To support Field & Stream’s Heroes of Conservation program, Jodi Stemler Consulting has coordinated a Conservation Roundtable discussion at every SHOT (Shooting, Hunting and Outdoor Trade) Show since 2008. Each year, Jodi works with Field & Stream’s editorial staff to select a conservation topic and coordinates a panel of experts to discuss and debate the issue. The topics have ranged from deer management (2014) to wilderness (2013) to wolves (2011), and much more. 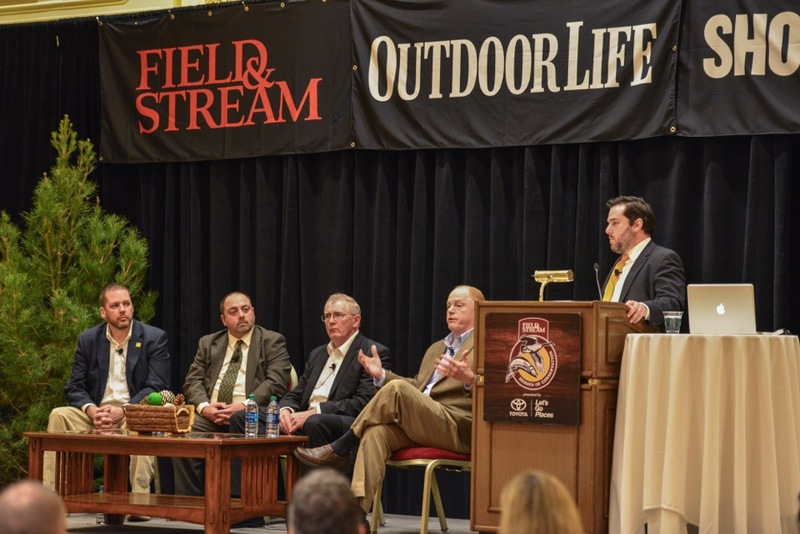 Each panel has a lively discussion on the topic, providing the outdoor industry and outdoor writers at SHOT Show the opportunity to learn about timely conservation topics.